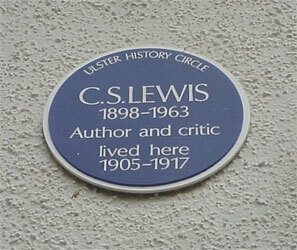 Lewis was born in Dundela Avenue, Strandtown, Belfast and baptised in St Mark’s, Dundela, by his grandfather, Thomas Hamilton, who was rector there. 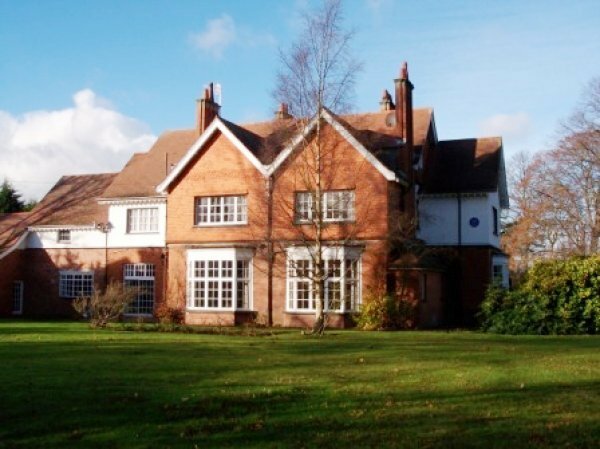 In 1905 the family moved to “Little Lea” on the Circular Road, which his father had built; it is the location of the wardrobe which plays such an important role in his children’s stories, The Chronicles of Narnia. 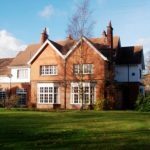 The house however is privately owned and not accessible to the public. 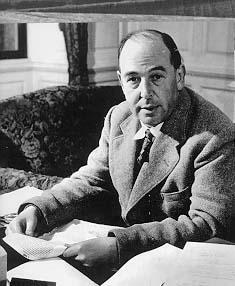 Lewis was educated in England, at Malvern College and University College, Oxford, his education being interrupted by military service during the First World War when he was wounded at the battle of Arras. On his return to university he graduated brilliantly and became Fellow and Tutor at Magdalen College (he later moved to Cambridge as Professor of Medieval and Renaissance Literature). 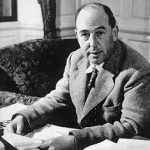 Perhaps his best-known academic book is The Allegory of Love (about medieval literature), but he reached a wider audience through works of Christian apology like The Screwtape Papers and radio broadcasts on the same subject. The Narnia stories, originally composed for World War Two evacuees, brought him great success – although his friend J.R.R. Tolkien, author of The Lord Of The Rings, did not like them! In his later years he married the American Joy Gresham, who in 1960 died of cancer; his autobiography Surprised By Joy is partly inspired by her. The play and film Shadowlands tell a somewhat romanticised version of their story. 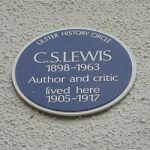 Lewis died in 1963 and is buried at Holy Trinity Church, Headington Quarry, Oxford.